Not to do a total spoiler alert, I have plans to do a wrap up of our recent trip to Florida and the great kombucha we sampled, but I could not resist this write up in the Tampa Bay Times for the Windmill Taphouse in Brandon (which is near Tampa) which, in addition to some rather odd salt caves, is featuring kombucha on tap. Speaking of natural remedies, how about kombucha? This fermented tea comes with a lot of dubious health claims, but I look at it as a reasonable alternative to soft drinks, with a potential upside by way of antioxidants and probiotic bacteria. Windmill Taphouse keeps an impressive six varieties on tap, from Tampa Kombucha and Kombucha 221 B.C. from Sarasota. Kombucha and beer are an interesting combo, and even more so when combined. Enter Unity Vibration from Ypsilanti, Mich.: maker of beer-kombucha hybrids, which you’ll find in stock at Windmill. 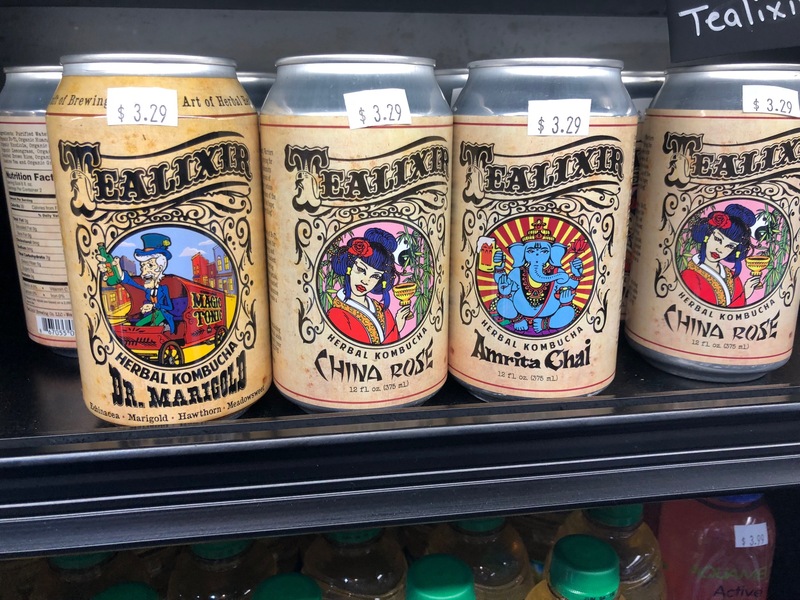 These odd brews — try ginger, raspberry or, my favorite, bourbon peach — combine the tart/sweet of fruit-flavored kombucha with the funk of wild ales fermented in open oak casks. After trying some regular kombucha on tap, this seems like an appropriate next step. Right. An increasing number of bars are adding kombucha to their roster. 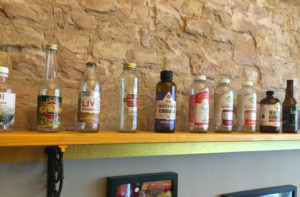 It is an incremental sort of thing; first, in addition to beer, wine and spirits, cider (the alcoholic kind) became part of the “beverage program” (h/t to Jon Taffer); next comes kombucha, kombucha cocktails, and kombucha beers. In our part of the world, Jester King brewery teamed up with Buddha’s Brew to create such a potion. I won’t tell you now the best kombucha we had in Florida—but it’s not one of the ones mentioned above. Putting kombucha in cans is a thing. While some are offended by such an idea, there is a reason to believe such a method can increase the brew’s shelf life. At least, that’s what we learned about beer in our beer-tasting class in Peru. BevNet reports that New Jersey-based Nitro Beverage Co. is looking at a number of new product lines but also putting its kombucha in cans.